Juicing seems to be a trend that’s on every bodies lips recently, both literally and figuratively. It has presented itself as a fast and easy way to get a healthy injection of sustenance while on the go. Trendy, nutrition, delicious and available in a variety of flavours. But outside of taste and trend, what’s the deal with juicing and how can it help on your fitness journey? I came across this story in a book I’ve been reading by Mel Robbins called the “The 5 Second Rule” and to say that Charles Bruno’s own personal health and fitness journey is inspiring, is a bit of an understatement. The man once weighed in at almost 400 pounds. That’s the weight of two normal adult men. 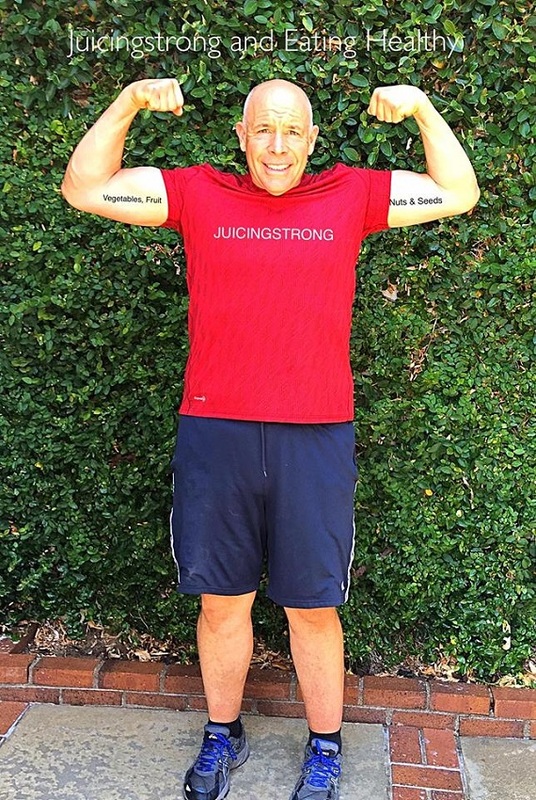 In an emotional post about his journey, Bruno admits to being so depressed that he thought it would be better to have his foot loped off rather than deal with the pain he was in. It’s a struggle that can put your goal of dropping ten or twenty pounds into perspective, and might make you put that extra effort into achieving those goals. If Charles did it, why can’t you? That change in thinking is as important as anything when it comes to your health and fitness journey. So there’s your real life inspiration, but what about the actual science behind the juice? Essentially it works because, in a similar but far more delicious way that a lot of the green supplements on the market, it jams a whole lot of nutritious ingredients together, blends them out and makes it quick and easy to ingest. Insoluble fibre and phytonutrients are a little above the average person’s heads. So, insoluble fibre is found in the seeds and skins of most fruits, and helps to keep you regular, and phytonutrients are the part of the plant that help to protect it from things like fungus, bugs and germs, and for humans, it can help to prevent disease. So there, that’s something you know. Get ready for another healthy lifestyle buzzword, prebiotics! Prebiotics are one of the healthy bacteria’s in your digestive system that help breakdown nutrients for digestion. These are so beneficial because, in a study done by Gemma Walton, PhD, they found that eating food rich in prebiotics (such as in leeks and bananas) increased good bacteria in the gut by 133 million. What does juicing have to do with this? Well obviously, it’s super easy to work prebiotic rich foods into your juice diet, and more prebiotic rich food will equal a much healthier gut. It’s not so much that the sugar is going to ruin the healthy qualities of the juice, but it’s just something to be aware of, and remember these are natural sugars we are talking about which do not have as massive a negative effects as consuming a ton of refined sugars. So give juicing a shot, use it to detox, work it into your current nutrition game plan as an easy and delicious way to get more fruits and vegetables in. Having joined Charles part way through his journey, I have gotten to know an incredible and extremely motivational man who has achieved his personal health goals, and is helping others achieve theirs. Charles ability to dig down to exactly what is the cause of your overeating unhealthy foods, (cause let’s be honest, nobody got fat from eating too many healthy foods) and helps you see what is important in life, and how you can change your own story. Thank you for this great article that helps us understand how a juice diet can help us change our story! Thanks for sharing Sarah. I agree Charles is a great success story.